When I first moved to Franklin, I quickly fell in love with its charming downtown... think Stars Hollow from Gilmore Girls! 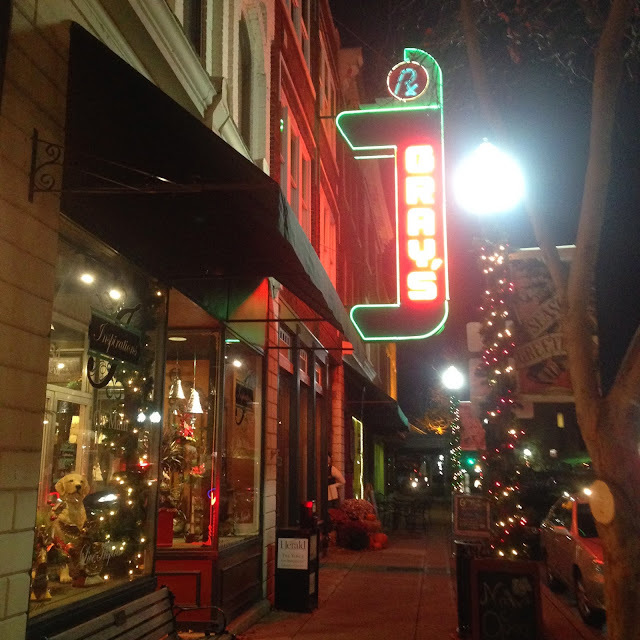 But one of the big eyesores was an old pharmacy called Gray's. It was boarded up and not open for anything, though its sign was still intact. This year, the space was renovated and opened as a multi-story restaurant. It has an awesome restored feel, with a stage in the second story space for a band. It opened in August to huge fanfare (seriously, they shut down Main Street) and its neon sign is a local icon. I've been to two events at Gray's, and what has impressed me most is its craft cocktails. They have some that are very strong (not fruity cocktails) and everything is just beautifully done. Mixology at its finest! 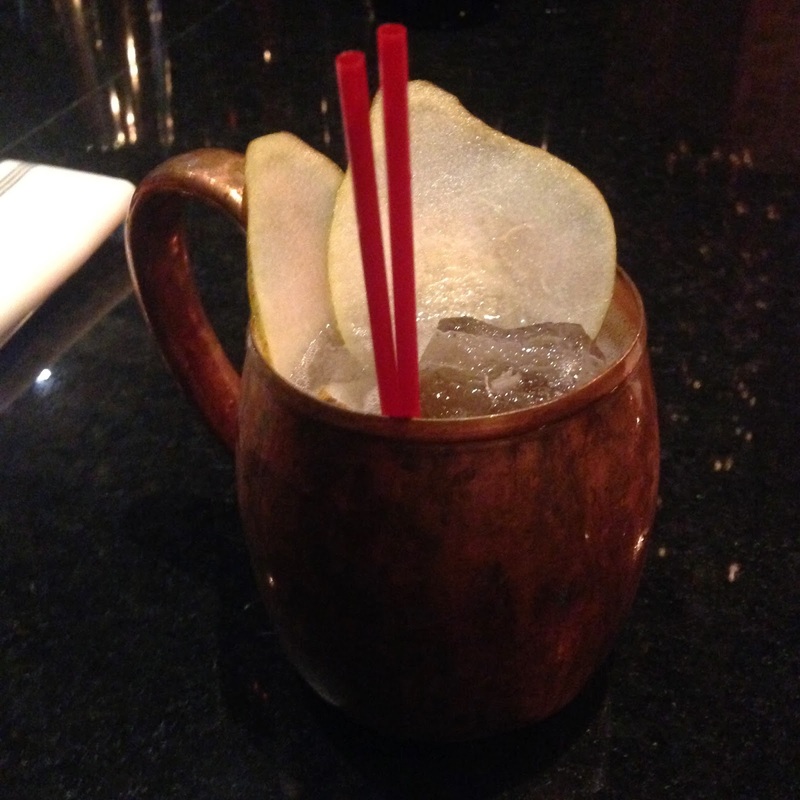 On my most recent visit, I found my new favorite: the Mae Love Mule. It's basically a Moscow Mule, but the Gray's version is Batavia Arrack, Belle de Brillet pear, lime, and Fever Tree ginger beer. It was simultaneously delicious and refreshing! I love how it's served in the traditional copper mug too. I've heard mixed reviews about the food at Gray's (some say it has changed and improved a lot since the place opened) but I know the menu changes seasonally. It's always tough when you're facing the opening crowds in Williamson County! The only time I've eaten there thus far, we had a buffet of delicious things to choose from. I loved the fried green tomatoes, steak, and wild rice. Everything was tasty, including dessert. I haven't found a bite I didn't think was yummy! I'd love to come back and choose some shareables off their menu. It's a uniquely Franklin spot, and definitely a place I'll bring my family when we're walking around downtown.